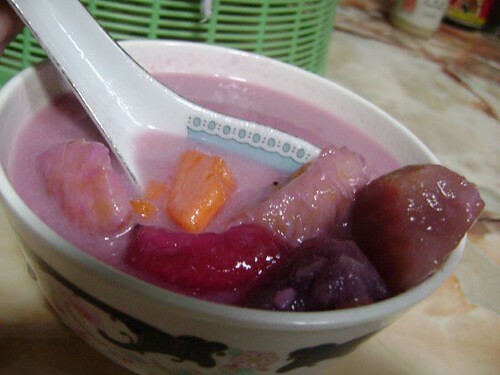 At the end of CNY, there should be have one meal which called Bubur ChaCha. It's only made specialize on Chap Goh Meh 正月十五. On that day, my grandma cooked it as one big bowl. She said that we love to eat so cooked lots. By the way, I really like it very much. 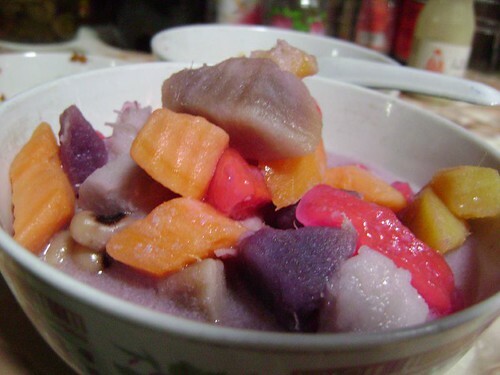 I love to eat the ingredients of yam, potatoes and the most special something like jelly. It's "Q"(in hokkien) enough and make I feel delicious. 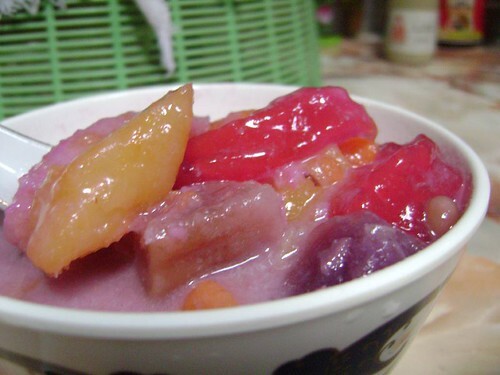 Did you eat this at the end of the CNY? Usually no need to wait until the last day of CNY la, you can make it yourself at home anytime! "Everyday you must eat right? How to save? People doing business outside they almost cheat you, homemade no need to save much!"